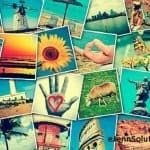 Home » Why Outsource Your Social Media? Businesses are created to help others and to make money. While you may be keeping the budget strings tight, you may wonder, why would someone want to spend money on outsourcing their social media? Everyone knows how to do a post on Facebook, tweet a tweet on twitter or post something on LinkedIn right? The truth is, there are a lot of reasons why you might want to have a third party manage your social media. Consistency in your social media is key. When you run a business, it is hard to focus much of your time on anything else, including your social media presence. Building up a sense of consistency helps your company to build its brand. A social media contractor or freelancer focuses all their time on working on your social media page. That allows them to stay focused and be consistent. Consistency also helps to build up your business’s trust factor by showcasing updated content. If you are active with your customers visibly, chances are you will respond to any issues they may have. If they don’t know you – consistent posting will show you’ve been around for awhile and just didn’t put up shop in the last week! The amount of time it takes to truly cultivate a social media presence is extensive and might make it hard for you to do anything else. A Podcast on the Cost of Outsourcing Subject! Jump to the 31:35 minute mark on an interview with Jennifer Stinnett and Wei Houng from The 6 Figure Academy. 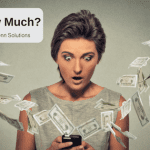 Wei breaks down into numbers how much spending time on your companies social media can cost a business owner. Listen to “Episode 33 – “Poop On Technology…Poop On Your Business” with guest Jennifer Stinnet” on Spreaker. Regardless of what your product or service is, you know it in and out (or you should). While this can sometimes be a great benefit and allows you to speak passionately about the topic, it can also have its draw backs. When you have such a big knowledge about your product you are likely to try and perform information dumps of too much information. You are also likely to use terminology others don’t understand. Managing posts isn’t all that a social media company does. They also work to make your presence and content understandable to all of your target audiences. The content that they produce is fun but it is also relatable which means that more people are likely to read it. Social media is a difficult world to master and learning what works and what doesn’t is difficult. It doesn’t help that the internet is full of conflicting information. Specialists who work with social media every day make it their business to know what works and what doesn’t. This is what keeps them making money after all. For many businesses that try to do their own social media, they think that a social media presence is all about what you post. Spending the time to comment on other people’s content and respond to commenters helps you to build up a presence. It also helps you to connect with your customers. A business that tries to run their own social media will have trouble targeting one group. A social media management company will help you to bring in business from all of your target audiences. They have the time and resources needed to do more than you can. There are more social media tools out there than you can shake a stick at. Knowing which ones work and which don’t can take a lot of trial and error. It can also cost more than your social media budget to maintain subscriptions and payments on all of these different tools. The masters at social media management groups have access to all of the right tools to make sure your presence is being boosted. Social media can be a difficult industry especially with time and expertise are the only 2 things considered. There is a lot that goes into managing your online presence. This is why outsourcing your social media is so important. Working with a social media company allows you to make more money by getting your products and/or services out there for the world to see. 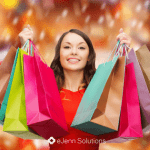 If you’d like to learn how eJenn Solutions can help at a low cost entry point for outsourcing your social media, contact us!